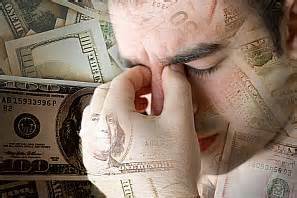 Many people we meet say they are stressed about their financial situation. Very few tell us that they are secure and at peace with their money. People deal with financial stress in many different ways — sometimes healthy, but often not. People commonly deal with anxiety by avoiding whatever it is that makes them anxious. Unfortunately, if you avoid dealing with your finances, you’ll likely create more financial problems, and more anxiety, in the long term. Money matters are too important to ignore. Many times our upbringing sheltered us from the reality of financial responsibility. This unawareness is often linked to money mismanagement and to debt. 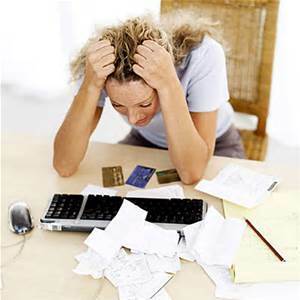 Debt, in turn, can result in lower self-esteem, lower productivity and greater stress. If you’re struggling with financial avoidance or financial denial, you can take action to get your financial journey back on track. Do you try to put money and finances out of your mind? Do you avoid talking about money with family and friends? Do you avoid opening bank statements or credit card bills? Do you fear your finances but take no action to resolve those fears? If you can relate to any of these feelings and behaviors, it may be time to take a hard look at your relationship with money. We develop our beliefs and attitudes about money early in life. Often, we aren’t even consciously aware of what our beliefs are, let alone who we learned them from. If you’re dealing with financial avoidance or financial denial, it can help to think critically about the money beliefs you learned in childhood. Think about what your parents taught you about money. Talk to family members about their money beliefs. Then try to challenge your existing beliefs about money. Many people feel embarrassed about their debt, ashamed that they let bank statements pile up unread. But that shame keeps you stuck. Try to move past the self-blame so you can take some concrete steps toward better financial health. Keep tabs. Tracking your income and your spending is critical to your financial journey. If you’re not tracking money coming in and money going out, you don’t know if you’re spending your resources on the things that really matter to you. Develop a spending plan. For some people the word “budget” like the word “diet,” calls to mind deprivation. Instead of figuring out where to cut back, think about what you want to spend. If going to concerts or sporting events is really important to you, you might decide to spend more money on those outings and less on dining out or cable television. By making such decisions more intentional, you’ll get the most distance for your dollar. Make it easy on yourself. Use automated systems as much as possible. Arrange to have a portion of your paycheck automatically deposited for emergency savings and periodic expenses. Set up automatic reminders to alert you when a bill is due. It’s a lot harder to make a bad decision when the decision is out of your hands. Use tools. Technology makes it easier than ever to stay on track financially. We offer a useful Financial GPS (Goal Planning System) that can help you track spending and set spending and saving targets. It’s not easy to challenge your deeply held beliefs or to change ingrained behaviors. No matter how good your intentions, change is difficult. Here at WayPoints Financial Services, LLC, we offer a variety of programs that can reduce stress and anxiety and improve financial health with anyone dealing with problematic financial behaviors. I agree, it is very hard and challenging to change habits that have existed our entire life. But once you start telling money what to do and you have a plan, the stress goes away. It is actually quite liberating!! !